DSITM recognizes that each child is an individual; that all children are creative; that all children need to succeed. Therefore, DSITM respects the individual needs of children; fosters a caring and creative environment; and emphasizes the social, emotional, physical, intellectual development of each child. 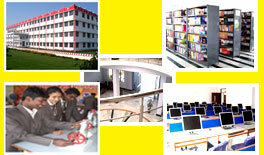 DSITM has designed all its infrastructure in such a way that it facilitate a to help each student come into confident possession of his innate talents, improve the skills needed for success in secondary school, and establish values that will allow him to act with thoughtfulness and humanity. I am sure through this endeavour, DSITM be able to present both the future and the traditions of a well-established, technical educational institute. We know success depends on building strong relationships with our students and technicality and with each other. Building this trust in the course of providing excellent, creative, timely and cost-effective education has created an environment that we believe is unique among major technical units. From this academic session we are introducing a new dimension to educational lineup in form of Diploma In Engineering. This venture is replica of DSITM belief that change is attitude driven and the best way to bring change is to change the attitude of the people. To this end we are constantly working towards making the academic environment vibrant and challenging which provides enough opportunities to vibrant minds to imagine, explore and reason. We have created a curriculam which is enriched and challenging by its diversity, where students learn to relate to their environment and function in new ways. The innovative academic culture stresses cooperative team work, enterpreneurship, a global point of view and an emphasis on fresh perspective. May god bless you for the upcoming future. Mr. Devender Singh, Chairman of the institution is an eminent industrialist originated from Ghaziabad. He belongs to a very renowned family of industrialist having vast interest in manufacture of Chemicals, Construction, Real Estate Development and most nobel profession of spreading high quality technical and management education to coming youth. Visionary, philanthropic and with an urge of social concern. Mr.Singh is founder of this institution. Dev Land Developers is a recent development & feather in a group.
" We drive and support constant innovation; excellence and aggregation of latest technology in the world."